* Supplied on roll and in loose bags. 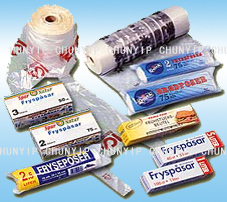 * Packed in printed outers, paper wrapped rolls and in printed boxes. order according to customers' requirements. * Widely applicable to public utilities, households and supermarkets.